Investing in a well-designed website is not longer an option, but a necessity. Whether you own a small, medium or an established company, you need to ensure your website is up and running. Even though a large number of businesses are using social media platforms to reach out to target audiences, there are several reasons why you simply can’t skimp out on website development. Firstly, a website is a powerful platform to share your company’s mission, goals and information with the rest of the world. Along with featuring information about your products and services, pricing as well as your contact details, websites make it easier to connect with customers. By publishing positive content, images and videos, you can stay connected with your target customers. According to a report in the Local Search Association, websites were the second most-used media to find local businesses. This means customers still use websites to find and engage with businesses. Websites are also crucial for search engine optimization. In order to improve your search engine ranking, it is important to develop a great website. Websites are among the top factors for appearing in Google’s search results. When a customer looks up your company on Google or any other search engine, your website is the first thing they will get to witness. An amazing website can make a lasting impression on customers and convert leads into sales. The bottom line is that your website is your virtual identity and affects your online reputation. Having a solid online reputation can give you an edge over your competitors and take your sales to the next level. In other words, a company’s online reputation, whether good or bad, has a significant impact on its sales, revenue and profitability. It can take a company several years to build a great reputation for itself. However, a poorly designed website can ruin its reputation within a few minutes. Wondering how to build a game-changing website that can boost your online presence and reputation? Let’s start with the basics. 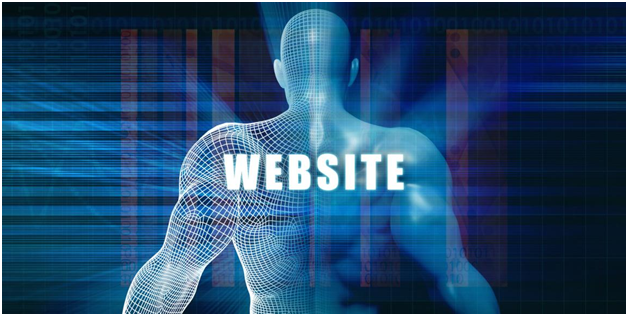 Your website must have a visually appealing design to attract users. The design of a website is the first thing that strikes out. If you’re looking to stand out from the crowd, make sure that the website design can draw visitor attention online. People love images and videos because they help break monotony for readers. Use high resolution and engaging images and videos that are relevant to your business. From a customer’s perspective, the most frustrating thing is not being able to quickly find information on your website. Your website should be easy to browse through and use. If you are unable to deliver pain-free navigation, your customers will leave your website. Offering easy-to-use and fast navigation can improve your customers’ online experience. One way to achieve this is by dividing the website into different pages, which includes home, about us, products and services, contact us, etc. Speed is another crucial factor that affects online users’ browsing experience. If your website takes too long to load, users will move on to another seller. Slower website loading leads to page abandonment. Also, make sure that your website is properly coded to load quickly because search engines consider loading speed for ranking websites. Easy to load and use, your website should deliver a seamless online experience to online users. We come to the most significant aspect of a website i.e. content. The difference between poor and excellent content lies in quality. Many people think that over stuffing keywords equates to quality content. The fact is that Google dislikes this SEO tactic as it fails to offer a great user experience. Your website content should be easy to read and understand, original, and insightful. Before posting content on your website, proofread it to check for errors. Google can penalize your website if it contains duplicate content. Always post high quality content that your target audience will find useful. Also, update your content regularly to engage readers. Last but not least, your website must have complete and accurate information about your business and products. The content should also include calls to action to get users to take a desired step. People use a variety of devices to access the internet today. From desktop and laptops to smartphones, your consumers have various choices when it comes to browsing your website. Therefore, you need to ensure that your website looks and functions smoothly on all devices. To put it another way, you need a responsive website. A responsive website is designed to provide an optimal viewing experience across a variety of devices. To boost the website visbility, you need a well-designed search engine optimization (SEO) strategy. SEO is the heart and soul of a website. You can spend hours working on the design and layout of your website. But, if you’re not using proper SEO techniques, it cannot do much for your business. SEO can optimize your website ranking on Google, Bing, and other search engines, making it easier for people to find your company. Most search engines look at content quality, keywords used, speed of page loading, and more, for ranking website pages. However, this is just the tip of the iceberg. Navigating through the technical side of SEO can be challenging. This is why you need assistance from a digital marketing expert, such as Makarand Utpat. Known as the ‘Turnaround Specialist’, Makarand has extensive experience and expertise in helping businesses generate more leads, get more traffic, enhance sales and bring in more money! He offers customized digital marketing solutions that suit each client’s specific needs. From website design to SEO, you can count on Makarand for all your online marketing needs. He helps organizations of all sizes, shapes and forms in achieving their goals, objectives, and missions. Contact him today to book your 30-minute free consultation session. Subscribe to my blogs. Don't miss out on the latest information and updates! Sign up today and discover winning formulas by receiving the special report NOW! Catapult your marketing! Use this Infographics as a cheat sheet or as a quick action guide. © 2019 makarandutpat.com All Rights Reserved. Get a digital copy of my book completely FREE. I'm aiming to release my NEW book in May 2018 which I'll be selling for a certain price on Amazon. However, you can get it for FREE just for visiting my website! Just submit the form here and you'll receive the book in your inbox once it is released!